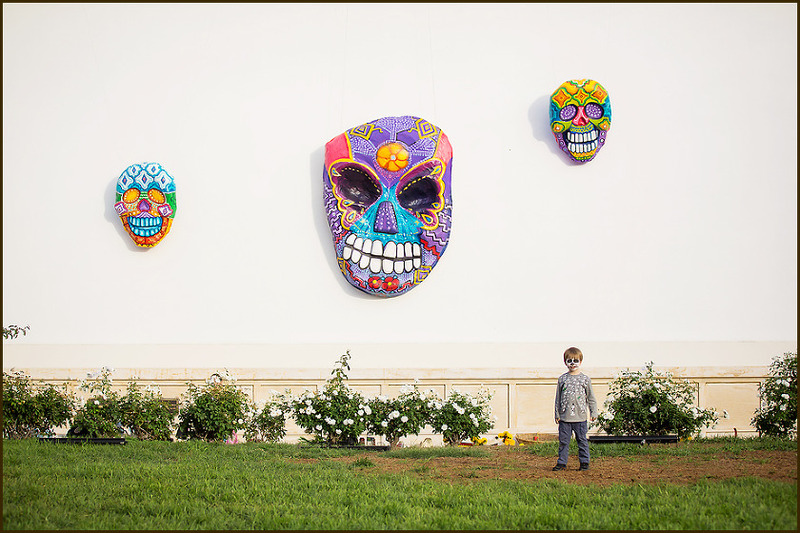 I’ve been wanting to attend a Day of the Dead Festival for ages, and now that we live in California we are close to a huge one– Dia de Los Muertos at Hollywood Forever Cemetery. The Day of the Dead is a Mexican holiday that celebrates and honors the lives of loved ones who have died. Elaborate altars (ofrendas) are erected to aid in the spiritual journey of the departed. The kids had watched the movie The Book of Life countless times, especially Flynn, and were excited for weeks. 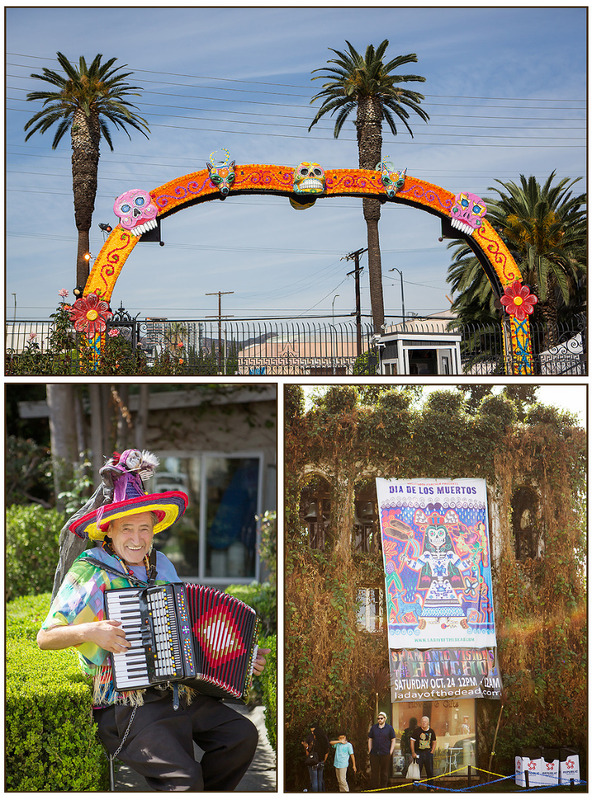 The festival takes place in Hollywood Forever Cemetery on Santa Monica Blvd, within site of the hollywood sign. We had to park 15 minutes away, but when we made it to the entrance we were greeted by a feast for the eyes. 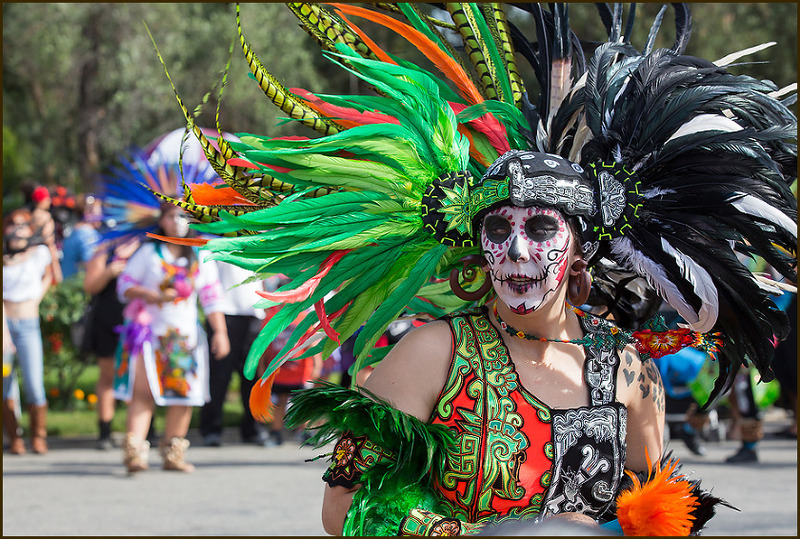 Amazing decorations, whirling feathered Aztec dancers, and crowds of people in colorful costumes with calavera, or decorative skull makeup. Near the entrance were face painting booths. The kids all got their’s done at a booth set up for little ones and I opted for the professional quality airbrush stand. It took about a half an hour and was amazing! I was so impressed with their work and because it was airbrush it didn’t smear for the whole day. They also had many different arts and crafts for the children to work on. We followed the path around the cemetery and spent some time admiring the colorful and elaborate altars that people had created for their departed loved ones. Skeletons, old photos, marigolds, food offerings were all present at most of the altars, and family members took great pains to add details that represent their personalities and interests. There were over 200 in total. Because it was Hollywood, some were for the more well known residents of the cemetery, like Shel Silverstein and Johnny Ramone. Some were over the top and exotic, and some were smaller and modest…but all of the altars were touching and beautiful in their own ways.